There is so much to appreciate about New Orleans. One of the things that really makes the city stand out are its citizens. 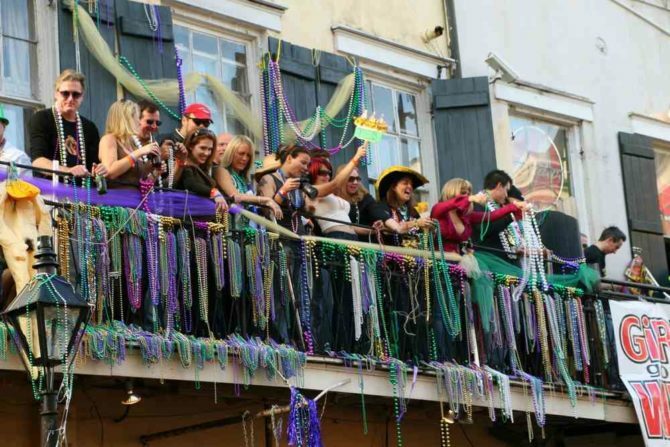 A 2015 survey by Travelzoo ranked New Orleans #3 in the top 10 friendliest cities in America. Those citizens include a thriving LGBTQ community that is not just accepted but welcomed. In fact, Gallup lists it as having the fourth highest gay population per capita in the nation, outpacing both New York and Los Angeles. What are some of the things you love most about New Orleans? The people are loving and creative. New Orleans is very similar to the Caribbean, where I grew up. The tropical weather, the culinary scene, the festivals, the architecture, and, most importantly, the energy. It is unlike any other city in the U.S.
How do you promote health and wellness? New Orleans has some unique options for self-care and staying healthy. I’m a member of the New Orleans Athletic Club, one of the oldest athletic clubs in the country. 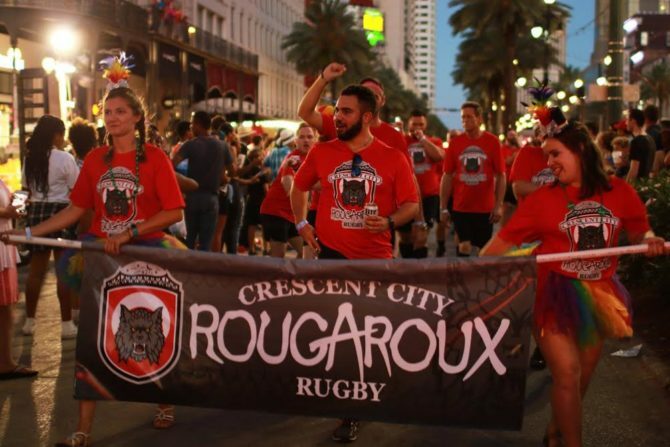 I also recently joined the Crescent City Rougaroux, a gay and inclusive men’s International Gay Rugby club. We are the first gay-inclusive rugby team in Louisiana and currently have 20 active ruggers on the team. Also, as a queer man who works in the field of HIV prevention, I educate folks on prevention options like PrEP at local drag shows. Crescent Park: A 1.4 mile urban linear park along the Mississippi with stunning views of New Orleans, native landscaping, bike paths, a dog run and multi-use pavilions. Sector6 Extreme Air Sports: Over 12,000 square feet of world-class trampolines, foam pits, an aerial obstacle course, euro wall running. Strayboots: An interactive scavenger hunt app that lets you explore the ‘hoods. What makes New Orleans such a great place? New Orleans embodies freedom and creative expression, which nourishes anyone pursing life as an artist. One of my favorite things about living in New Orleans is my ability to practice Buddhism with SGI, a very welcoming, supportive and positive community which embraces LGBTQ people. Living in New Orleans allows me to be my authentic self and live true while making my dreams come true. Why is New Orleans such a great place for creative types? New Orleans overflows with rich experiences. Our food, our music, our architecture, our culture and our celebration of life is accessible to everyone and is evident at every turn. Art can be found in almost every setting, and is available to customers in many venues. My art is available at several restaurants and coffee shops as well as in more traditional retail settings such as Zèle. I am most inspired by making art that captures the beauty, joy and culture of New Orleans. 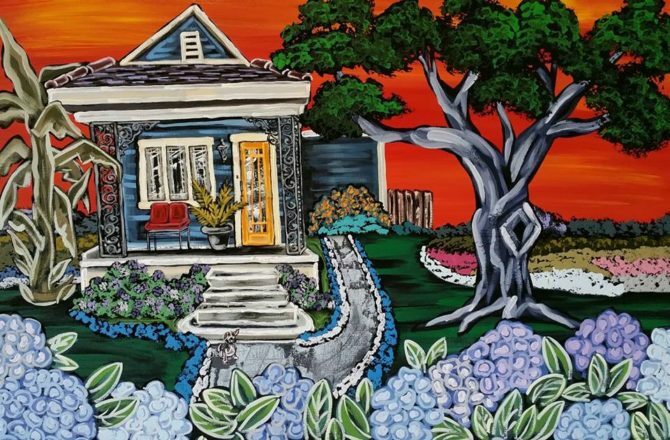 This includes shotgun houses, natural landscapes and Mardi Gras Indians. Freret Street Art Market: A monthly outdoor art festival with food, music, art, and knickknacks from nearly 100 different vendors. Zèle: A multi-vendor art market featuring the work of over 120 local New Orleans artists and artisans. Arts Market New Orleans: Held each month in Palmer Park, this outdoor market features art, jewelry, bath products, ceramics, and more from between 80-130 local artists. What historical New Orleans trivia people may people not know? There was a literary renaissance here and in Paris between the First and Second World wars. The attraction to New Orleans was its exotic nature. People still spoke French. The food was top notch. The rents were cheap. There was no interest in Prohibition. Coffee was freshly roasted and strong. New Orleans was (and remains) a major port. Lots of seaman to entertain! All of these factors made the French Quarter an attractive destination for gay people and bohemians. If you could have a cocktail with anyone from New Orleans queer history, who would it be? Lillian Hellman. (I knew Tennessee Williams and Truman Capote). Hellman was a native New Orleanian. Her plays and her interactions with the House Committee on Un-American Activities are well-known. Of particular interest to the LGBTQ community are Children’s Hour and Little Foxes. She was brave, beloved, and brilliant. More likely than not, we would meet at the bar at the Napoleon House. The choice of cocktail would depend on the season and the time of the day. The Riviera Bar at the Omni Royal Orleans: Enjoy delicious frozen daiquiris by the poolside atop one of the oldest hotels in the French Quarter. 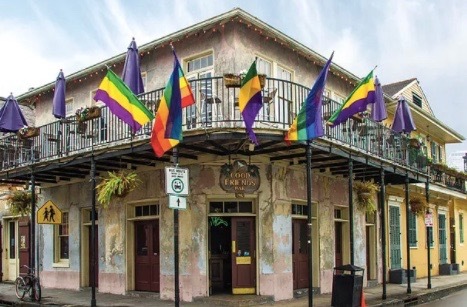 The Twirl!, the New Orleans Premier Gay History and Drinks Tour: Get an insider’s view of the city’s rich history while exploring the classic watering holes de la vie en rose. The Historic New Orleans Collection: A museum and research center, dedicated to preserving the history and culture of New Orleans and the Gulf South. New Orleans is known primarily for Mardi Gras, but its costume and festival culture is even bigger than that. There’s always a reason to dress up. Nowhere else in the world do you have the kinds of balls during carnival season. They shaped a massive part of Southern history. And nowhere else do you get to experience the Mardi Gras Indians parading around in their handmade attire that has taken months and sometimes years to create. People here really appreciate the craftsmanship and thought processes that go into costume design. It’s like nothing like I’ve experienced anywhere else in the U.S.
What New Orleans festivals have you designed for? 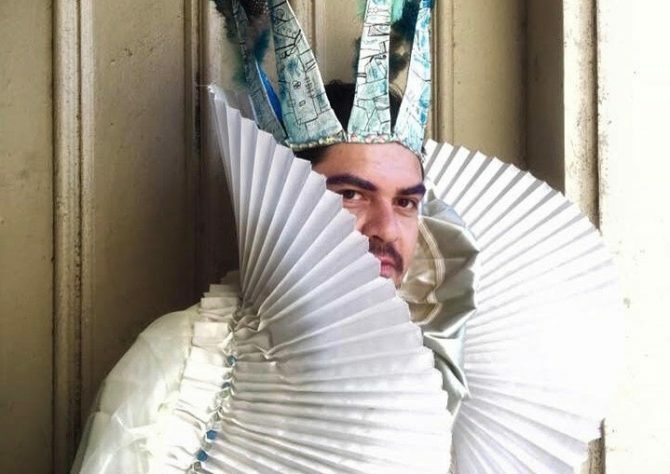 I’ve been designing and making costumes for 13 years. I’ve designed for Mardi Gras, Halloween, Southern Decadence, Gay Easter, New Year’s Eve, Jazz Fest, and other various balls and performances. I’m constantly learning something new about New Orleans history and traditions while doing so. My favorite festival to design for is Mardi Gras because there is so much creative freedom from my clients. Everyone wants and loves a unique and one of a kind look. Mardi Gras Museum of Costumes and Culture: An array of carnival costumes from the private collection of New Orleans entertainment producer Carl Mack. Backstreet Cultural Museum: An amazing assortment of memorabilia indigenous to Mardi Gras, jazz funerals and other traditions found only in New Orleans. Maskarade: An art gallery of handcrafted masks located in the French Quarter.